OFFICIAL ANNOUNCEMENT ON PICHAIKKARAN DIRECTOR'S NEXT! 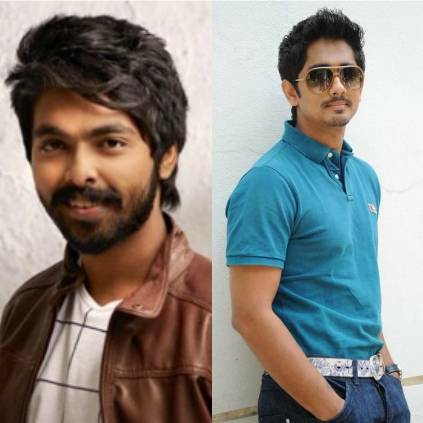 It was earlier reported that director Sasi will be making his next with actor Siddharth and G.V Prakash playing the leads. The film is said to be titled Rettai Kombu and is bankrolled by Abhishek Films. Debutant music director Siddhu Kumar will be scoring the music for the film. The project officially went on floors today and the pictures from the shooting spot are circulating on social media. We are yet to know who plays the female lead in the film. Stay tuned for further updates about this project. Peranbu is an upcoming Tamil film directed by Ram featuring Mammootty, Anjali, and Sadhana in the lead roles. The film's audio launch took place last night, July 15th and various stars for the industry made their presence at the event. 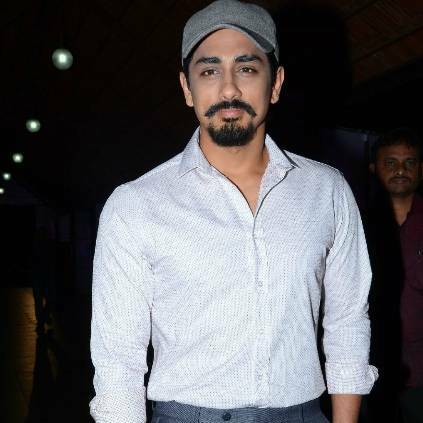 Being a fan of the team, actor Siddharth arrived as a guest and in his speech spoke about director Ram's work and Yuvan's musical skills. "These days all directors are also becoming actors. Although I feel directors should be focusing on directing alone. If all the good directors are going to turn into actors I don't know who I can request for a chance anymore. A megastar like Mammooty acting in this film is extremely impressive. More stars like this should come up and be part of such projects This is a role of his lifetime and at this point in his career and stardom the fact that he chose to do this film is extremely inspiring to me and everyone who has a passion towards cinema"
"I am a huge fan of Yuvan's work. I will never accept people stating that Yuvan is making a comeback. He's always been here and he always will be no matter what. He is one of the biggest forces of Tamil cinema and no one can take that away. His music in this film is beyond what we all can expect and I'm very happy for the team as a whole"
Yuvan in his speech stated that "This is the 4th time Ram and I are joining hands and we wanted to do something different from the usual. I am very happy to be a part of this project and it was a great experience"
People looking for online information on GV Prakash, Rettai Kombu, Sasi, Siddharth will find this news story useful.